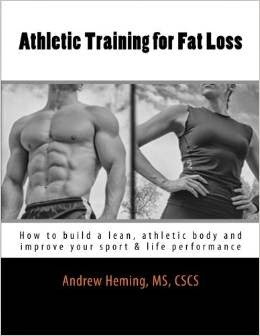 Andrew Heming's Blog: Never Eat Past 7PM? When it comes to the diet and fitness industry, there is never a shortage of rules. Rules of always do this, and never do that are everywhere! One common rule is to never eat past 7pm. Is this a solid principle or a silly tradition? Is this a good idea for you to be following? To help you know if this applies to you, ask yourself the following questions. If your goal is fat loss, this may have some merit (though you still want to consider the other considerations), but with performance or muscle gain goals, this could result in not getting enough nutrients or calories and stop your gains. When did I last bout of intense physical activity? If you have just finished intense physical activity (e.g. sports, training), your body is not thinking about fat storage, but replenishing glycogen stores. Training causes your body to use carbs for refueling your glycogen tanks and protein to start the repair process. If you train, practice or play intense sports in the evening, you need to eat afterward – regardless of the time. This is not an excuse to go crazy and end up in a carb-induced coma, but do not miss this opportunity to refuel. What time do I go to sleep? What if you are a night owl? If you go to sleep late, you may need to eat in the evening or your calorie and nutrient totals for the day may be too low. Sleep is crazy important for your health, energy, body composition, recovery and for helping you to be a pleasant person to be around. If eating at night interferes with your sleep quality, then it is not worth it. (Note: it may also be that you are eating the wrong type of foods for you). Carbohydrates tend to make you feel sleepy (think Thanksgiving dinner – it’s the carbs, not the turkey) and thus moving some of your carbs from earlier in the day to your evening meal can improve sleep. However, this is not for everyone, so proceed with caution and measure your results carefully. If I eat too late at night, my digestion system feels “off” the next morning. Sleep is an important opportunity for your body – including your digestive system to have a well-needed break. Remember, nutrition is not just about what goes in your mouth, but how your body digests and absorbs it. If eating in the evening hurts your digestion, give more time before your last meal and bedtime. One of the helpful things about this rule for many dieters is that the evening hours are when most people lose all self-control and start eating all the wrong things. If you want to eat in the evening, ask yourself, what do I feel like eating? If you are hungry for healthy food, it may be your body’s way of telling you it needs more nutrients. However, for many people eating at night involves eating junk food which is a bad idea any time of the day. If you are “hungry” but all you want is junk food, it likely psychological hunger – which should be dealt with by distracted yourself with another activity (e.g. reading). Click HERE for more details. What did I eat during the day? If during the day, you filled up on high-quality proteins, healthy fats, some fresh fruits, whole grains/legumes (if needed and tolerated) and tons of veggies, then you will not be as hungry at night. Note: while I’m not one of them, some people do better eating less in the day and more in the evening. A huge problem with eating at night for many people is that they have already eaten enough food by the time dinner is over. If this is you, then eating more at night will put you into a caloric surplus and result in weight gain. This is not so much the result of the time of day, but simply that the extra evening food was more than you needed. .However, if you need the extra evening meal or snack to reach your calorie needs, then go for it – but be sure to make good food choices. How is your willpower muscle at night? One of the many great things I learned in the book The One Thing was that your willpower is like a muscle. Yes, it can get stronger, but it can also get tired. If you have had a long and crazy day, you have likely taxed your mental decision-making capabilities and your willpower. The fact that you were an incredibly disciplined person who made wise decisions all day makes you that much more susceptible to poor decisions at night. In this case, a simple rule such as, "I don't eat past X time" may actually be easier for you than wondering over to the fridge or cupboard and trying to make yet another wise decision in your day. While guidelines can be helpful, blindly following fitness or diet rules can hurt your gains. Do what is appropriate for you based on your goals. Always consider what is best for your health, performance and body composition. Focus first on what you eat and how much you eat. Then, consider when you eat it. If eating in the evening is helping you with your goals and you are making good choices, then go for it! If however, you are getting what you need during the day and you know that you will sabotage your goals with evening snacking, check out this post for a great way to reduce the temptation of evening snacking. How about you? Do you find eating in the evening helpful or harmful to you?